Application Deadline: March 1, 2017; notification date: March 31, 2017. See the “How to Apply” tab above. Stipend Details: Each participant in the Seminar will receive a stipend of $2,700. 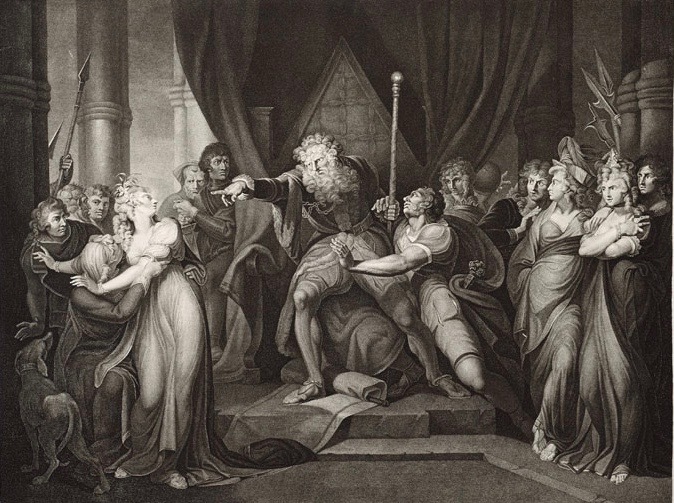 This seminar will provide its participants with the opportunity to spend 3 weeks focusing on the work that many consider Shakespeare’s greatest play, King Lear. The seminar will attempt to see the play through many lenses: in formal terms; in its historical contexts; and in its life beyond Shakespeare’s time. Since there is so much material on and relevant to King Lear, the seminar will also serve as an introduction to the current state of Shakespeare scholarship and criticism, and to the question of adaptations of Shakespeare, literary and cinematic. The first week of the seminar will be devoted to attempting to come to terms with the material existence of the play. We have two early texts of it, a quarto and a folio. The question of the relation between these texts, and how one should treat them in editing the play, is one of the hottest topics in Shakespeare studies today. Our seminar will begin by diving right into the two-text, authorial (or other) revision issue. Shakespeare normally had narrative and / or dramatic sources for his plays, and Lear is no exception. We will read a late Elizabethan play – author unknown – on the Lear story, a play that certainly predated Shakespeare’s version and that Shakespeare definitely knew. We will also read the source for a whole strand of material that was not in the older Lear play but that Shakespeare borrowed from elsewhere and added to the Lear story. We will look into the afterlife as well as the previous life of Lear. From the 1680s until well into the 19th century, the version of the play that audiences saw on stage was not directly derived from Shakespeare’s texts but was a version of the play rewritten by Nahum Tate in 1681. We will see what we can learn from it. We will then jump to the last third of the 20th century and discuss two film versions of the play made in the same year (1971) by Peter Brook in England and Grigor Kozintsev in Russia. We will then dive into the criticism and scholarship on our play. First we will look at criticism that tries to contextualize the play either as a whole or with regard to particular issues in it. We will read both “Old” and “New” historicism, and do so in relation to the question of religion in the play. We will then look at criticism that deals with social and political issues in the play, and get into the vexed matter of the alleged “radicalism” of the play. But not all our critical readings will be contextual or historical. We will also study some “character criticism” in both its early and late 20th century form, including psychoanalytic criticism. We will then move to the approach that came to be known as “New Criticism,” and will consider the matter of “symbolism” in the play. Finally, we will discuss some current trends in literary criticism: approaching the play through Renaissance humoral psychology, and approaching the play through the burgeoning field of animal studies. The aim of the seminar is not to answer the textual, historical, and critical questions that it raises, but to show how compelling these questions are. For further information, please look at the “Detailed Description” and the Week-by-Week account under the “About the Seminar” tab.